I'm back! After many years and several contract jobs I've returned to posting online on a semi-regular basis. 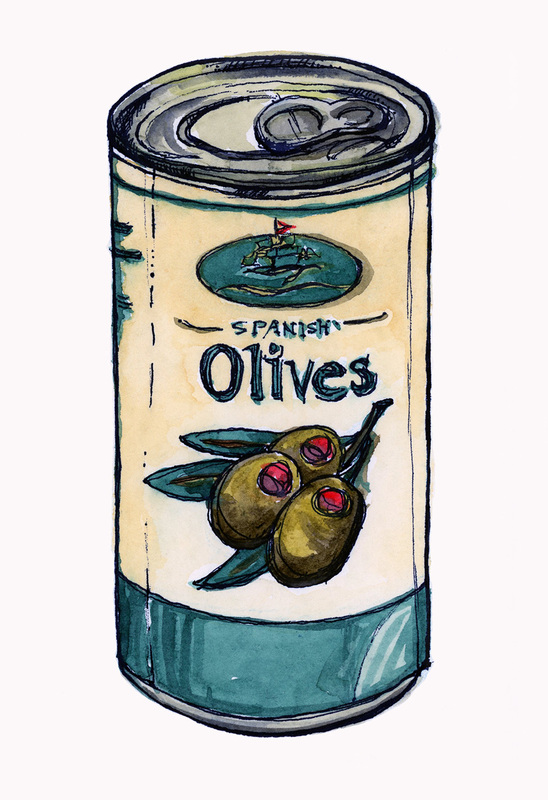 This is a rather scratchy watercolour sketch of a can of Spanish olives, which Gary and I finally got to enjoy within a dirty gin martini accompanied by bread dipped in olive oil and good balsamic vinegar.